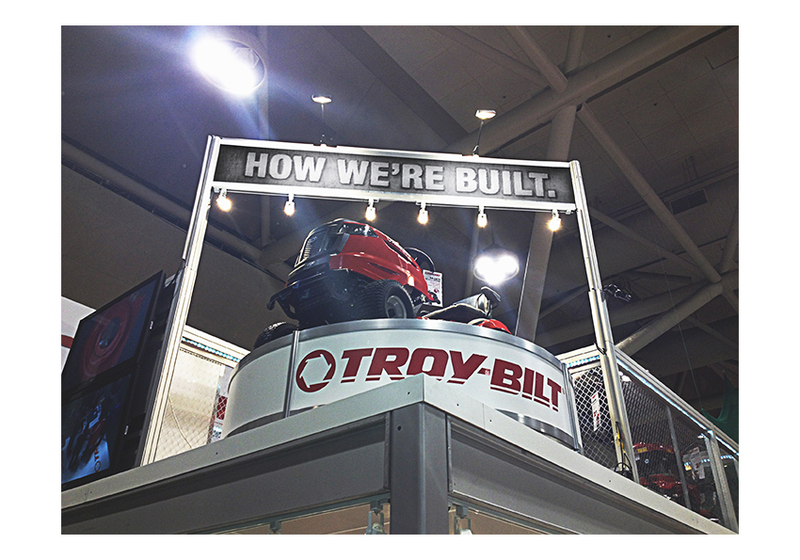 Troy-Bilt, a high-end brand owned by MTD Products Limited and manufactured exclusively for Canadian Tire, is forever reaching new and innovative heights with their extraordinary line of Lawn and Garden products. They wanted to aptly represent this at the 2013 Canadian Tire Tradeshow. Jazz designed and delivered a unique, high-tech, double-decker booth that took the show by storm and accurately reflected the market-leading technology of Troy-Bilt products to the CTC Dealers and the public from across Canada. © Copyright 2018 - Jazz Marketing Communications Inc. All Rights Reserved.